Batman’s origin has been told and re-told countless times. Batman (the comic series) is even in the midst of a year-long origin arc. The vast majority of Batman’s audience probably aren’t reading that series (though it is quite excellent at the moment), but will still remember Batman Begins well enough. There’s no doubt in my mind that it is a good decision not to add Arkham Origins to this list. Indeed, it’s a prequel, an origin story of sorts, but not of Batman himself; rather, of the particular world he inhabits, and ultimately of the asylum from which the series continues to take its name. It’s Christmas Eve, around two years after Bruce Wayne first donned the cowl. Gotham is, as ever, a city in the grip of organized crime, where there are probably as many crooks on the police force as are locked up in Blackgate Penitentiary. Jim Gordon is still a captain, languishing under the corrupt Commissioner Loeb. Batman is still considered more myth than reality by most people who haven’t seen him, though he’s made enough of an impression that more than a few superstitious criminals glance over their shoulder at night. A handful of notable criminals have appeared: Oswald Cobblepot is an up-and-coming black marketeer, and Julian Day, the serial killer known as Calendar Man, is scheduled to be executed that very night. Gotham has yet to really see that “better class of criminal” it so deserves. By Christmas morning, that will have changed. The game opens with Roman Sionis – the crime lord known as Black Mask, after the black skull mask he wears – attacking Blackgate. Batman intervenes, of course, but not before a major prison break sets the stage for a long night of crimefighting. Soon, he discovers that things are going to only get worse from there: as part of his Christmas Eve plans, Sionis has offered fifty million dollars to whichever of eight assassins can manage to kill the Batman that night. The assassins are a who’s-who of A-, B-, and C-list DC villains, some of whom have appeared in the series before (like expert marksman Deadshot, who had a side quest in Arkham City, or Bane, who appeared in both previous titles) and others who are new arrivals (most notably – and most prominently advertised – Deathstroke, master mercenary). A handful of other villains take advantage of the night’s chaos to make their own debuts, from Mad Hatter and Anarky to the “mysterious” Enigma. Considering how much he was featured in the marketing (and how awesome he can be), Deathstroke’s appearance is criminally brief. It’s not a bad setup for a Batman story that requires a lot of villains. Wisely, WB Games didn’t try to load it down with too many of Batman’s biggest rogues; that worked out fine for Arkham City, but if Batman had to have his first encounter with half a dozen of his greatest enemies all on the same night, it would’ve been a bit much. The story has a more interesting setup than the previous two Arkham games, but unfortunately that story does not occupy a more interesting Gotham; just a bigger one. Indeed, about fifty percent of the map is the area that will eventually be walled off and turned into Arkham City. And that’s Origins‘s biggest failing: it makes the mistake that bigger is better. Maybe this is a curse of third Batman things: Arkham Origins is to the Arkham series what The Dark Knight Rises is to Christopher Nolan’s trilogy: the biggest, but probably the weakest, of a series of very good things. Arkham Origins is objectively a pretty good game, but that mostly comes from what it preserves from its predecessors, because it makes very few attempts at expanding that formula. I can’t help but wonder how much of Origins was dictated by marketing. Unlike the first two, Origins was developed internally; Origins has a multiplayer mode, which I’ll admit to not having tried, because it smacks of obligatory inclusion; Origins ultimately features Bane and the Joker most prominently of all its villains, perhaps because they are the most recognizable of Batman’s nemeses to the casual Bat-fan, even if these are versions much more true to their comic incarnations than those seen in the most recent films. The additions are minor, but mostly pretty decent; they just don’t end up amounting to a great deal. For the first time, Batman can freely return to the Batcave, and talk directly to Alfred for advice and XP. There’s a fast travel system in place using the Batwing. And, most interestingly, the crime scene investigation mechanics glimpsed in previous games have been fleshed out a bit, and made into side quests as well as being incorporated into the main campaign. 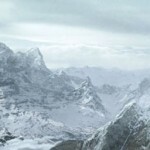 It’s a concept worth exploring further, because it never really reaches its potential as it is; they aren’t quite puzzles, because Batman holds your hand through them from the first to the last, but with a little effort it could become a very cool part of future games in the series (if there are any – which I suspect there will be). There are a handful of reductive changes, like the disappearance of the Riddler’s riddles, replacing them with much more frustrating and less interesting things to find in the environment. Origins does, it must be said, have a handful of noticeable, but not game-breaking, glitches. Most of the ones I encountered had to do with collectibles and the Dark Knight challenges the game challenges you to complete, from collectable items remaining on the map when they had been collected to the game awarding you for things you haven’t done. Yes, it’s a glitch in the player’s favor, but after the third time the game gave me credit for a very difficult task after beating up two unarmed dudes, I was actually kind of put off. It’s better than the game ignoring such achievements, to be sure, but somehow I still felt robbed. Veterans of the series will also notice that the game really adds very few new rogues that haven’t been seen yet. The Mad Hatter is a side quest again, and very near to the one from Arkham City. The Penguin is a significant stepping stone in the main story. The Joker is the major villain by the climax. Newcomers like Anarky or Copperhead come and go pretty quickly, and even the ones that got top billing in the early publicity push – Black Mask and Deathstroke – take a back seat to the same villains we’ve seen Batman grapple with a lot lately. Why not make more use of some of Batman’s other, less major rogues instead of reusing the likes of the Hatter? Where is he, Warner Bros.? WHERE IS HE? Though I have gripes about the characters they chose to focus on, I cannot fault the cast itself, which reads like an all-star team of voice actors. Troy Baker, who seems to be having a hell of a year, replaces Mark Hamill’s definitive Joker portrayal with a good-but-not-great imitation. There were times that I was pleasantly surprised at how like Hamill Baker managed to sound; he gets the laugh down pretty reasonably, for instance. But other times it’s definitely not the same voice. To be fair, Hamill has pretty much retired from being the Joker, so Baker might be the best we’ll get for reprising that take on the role. Batman’s voice, previously provided magnificently by Kevin Conroy, has also been replaced, though in his case the difference is a lot less noticeable. 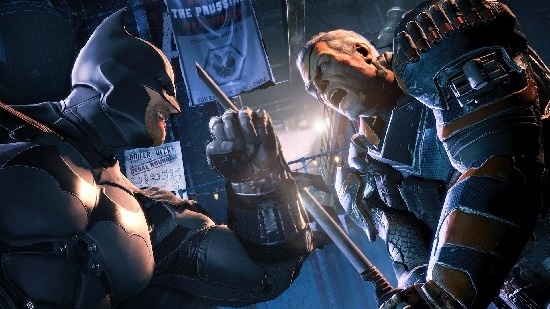 Ultimately, Arkham Origins will scratch that Bat-itch that’s no doubt been building up since you finished Arkham City, and it has some good moments; but it feels mass-produced, a collection of things that have worked already, trying to appeal to the broadest swath of Bat-fans by throwing characters and moments at you that are immediately recognizable. It’s that critical misunderstanding about fans of things like this, the thought that they – we – just want to see the same stuff over and over, and nothing else. The game hints at possibilities for the future – interesting ones that I’d like to see followed up on. And I do think that there’s more that can be done with the Arkham series. They aren’t going to stop making Bat-games, and they may as well be pretty good, like Origins ultimately is. It’s more of what made the previous games so good. Sure, there are missed opportunities – why couldn’t the assassins actively stalk Batman through Gotham, instead of just waiting for their moment in the story to come along? – but nothing really breaks, either. But next time, Warner Bros., try it without the Joker. I dare you. Light up the Dix-signal by e-mailing dix@tap-repeatedly.com. Thanks much for this, Dix. The Arkham games are ones that I have never given the fair amount of time – I have Asylum for PS3 and City for PC, and didn’t spend more than a few hours with either. This had nothing to do with my view of their quality, I just drifted from them more readily, for some reason, than other games. But Arkham City in particular is on top of my backlog and I intend to get to it soon. I was surprised especially by your mention of The Killing Joke’s inclusion, however oblique it may have been. Given that DC has always gone out of its way to specify that The Killing Joke is NOT to be considered “Batman canon,” citing (in part) the Joker’s own remark (“sometimes I remember it one way, sometimes another; if I’m going to have a history, I’d like it to be multiple-choice”) to justify this. Odd that it found its way in here, though these games have always been the darkest and grittiest perspective on the Dark Knight, so in a way it makes sense. Great work. You sold me on waiting for a sale. Not the verdict WB may have wanted, but one I trust. Thanks! Yes, I definitely think “waiting for a sale” is the way to go unless you MUST have your Bat-fix now. Because it is a good game. If this had been the first in the series we probably would be as excited about it as we were about Asylum. It just suffers from being not better than its predecessors. In Bat-history, I find, there are a lot of people who consider The Killing Joke to tell the true origin of the Joker, even though I doubt that’s what Moore had in mind (hence that multiple-choice line), and it becomes nebulous because some of those people are writers on Bat-titles at one time or the other. I’m actually curious to see what Scott Snyder will do with his current story: his “Zero Year” origin epic features the Red Hood heavily, so the question becomes whether or not he will treat that as part of the Joker’s origin or not (I’m guessing not, since he just finished an epic Joker story before launching into this one). Recently, too, there was a bit of an internet debate ignited by Grant Morrison on Kevin Smith’s podcast Fatman on Batman when he told Kev that he always saw The Killing Joke as the death of the Joker as well…but that’s neither here nor there. Its inclusion in the game (in the form of a Joker flashback, failed comedian, then suckered into donning the Red Hood and being taken down by Batman) smacked, to me, of fan service. With the previous games, there was a real sense that Rocksteady and Paul Dini and everyone else really loved the material; here, with the overt focus on the villains the most recent movies have used, with the significant nod to one of the best-known Batman stories ever, it’s hard to tell if the deciders at WB Montreal loves the material as much and is just not as measured about showing it, or if they were just trying to mimic loving it. I suspect (strongly) that WB Interactive had a greater hand in guiding this title as compared to the previous two. And ironically, AJ, though Calendar Man is referenced in the opening setpiece of the game (he is about to be executed when Black Mask busts into Blackgate), and it’s fricking CHRISTMAS EVE when he presumably escapes, he doesn’t seem to appear anymore. I’ve completed all the villain-related sidequests and glanced about online for signs of one I missed, and despite the fact that it seems like he’d be high on the list of escapees to apprehend – because it’s fricking CHRISTMAS EVE – Batman apparently doesn’t care. I haven’t played Origins yet, but based on your observations, I may just pass altogether. I played both Asylum and City, and really enjoyed both of them MOST of the time. However, for both of them, SOME of the time they suffer from the same fate I find in most games; Repetitiveness. Maybe it is my inability to stay focused on any given thing for too long before I get bored, or my need of story progression so my mind continues to be stimulated by new experiences. I don’t know, but I feel that developers that find a few nice niche moves/side quests/mini games/etc. that users really enjoy tend to wind up centering their game and story around those experiences and just find ways to develop the game and story to bridge the gap until they can set up basically the same scenario over and over again; Enter room, hide in shadows, sneak up, take out, hide, wash rinse, repeat. Don’t get me wrong, it is really good and fun, but it was basically the same thing over and over again with slightly harder scenarios and a different room configuration, but it basically didn’t require more than a few times of dying to find the right timing of AI paths to clear the room. All of that is fine, and they certainly did it well. However, when you get to Arkham City and you are basically doing the same thing the entire game that you did in the first game save for some elemental differences, you haven’t progressed the game any. You are simply creating a new DLC. I suspect that Origins most likely does the same thing. This is not a knock on the Batman: Arkham series. They are fine games and they certainly not the only series that suffer this design flaw. Halo 1-3, Gears of War 1-3, Call of Duty series and so on all great series, and mostly great games, but they never made me feel like they tried to make as much advancement in gameplay with their series counterpart than they made with their original. I don’t blame them. Why develop from the ground up when they can sell just as much with just a couple coats of paint? I thoroughly enjoyed Arkham Asylum. But after that I had pretty much had my fix so I never played Arkham City. But then I’ve never really been a superhero fan. Nevertheless, I would be disappointed to see this franchise driven in the ground. I’m curious to know what Rocksteady is doing now, and what was the reasoning behind not having them develop this one. I can guess that they wanted to do something different. They’re clearly a talented bunch so whatever they do next would be worth a look. I agree that this is the weakest game overall, but I don’t understand where everyone is coming from by saying it is worse-written than the other two. Am I the only one who remembers Batman saying, “I eat punks like these for breakfast” in Arkham Asylum? I also have issues with the ending of City that Origins directly addresses. The plot in Origins is very good at presenting each of the villains as interesting without overstaying their welcome (though Bane comes very close). 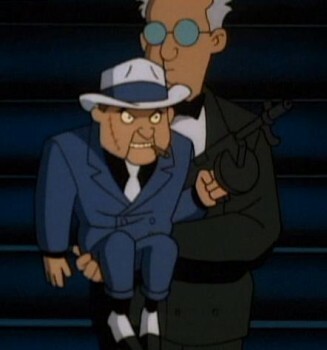 The entire segment in the hotel was a high point of the franchise, with excellent pacing to show off the Joker’s style and Bane’s cunning; the brief moment where Bane figures out Batman’s elevator ploy is a fantastic way to illustrate that he’s smarter than he looks (unlike in Asylum where he’s immediately murderous just because and City where he stupidly gets trapped in a closet). Even Firefly, a C-class villain if there ever was one, gets to strut his stuff in an extended, surprisingly exciting bit of destruction culminating in a boss fight that would have made a great movie scene (and yes, I realize that not everyone will forgive a game for aiming for a cinematic presentation over gameplay, but this franchise is already past that threshold). If anything, my problem is what’s outlined in the review: too much content and not enough variety. The subplot with Bane and his amnesia-inducing Venom alternative, for example, was well-written but didn’t really need to be in the game. RE: The Killing Joke. I’m aware of it, but have never read it, and I thought the inclusion in Origins was as good an idea as anything else. It made sense to me and connected back to (this continuity’s) Joker origin outlined in City without being explicit enough to give the Joker a definitive origin. Why was he on a stage? Who was he? We still don’t know. It might be fan service, but it was well-integrated and, as is typical with Alan Moore, pretty dang good, so I have a hard time getting worked up about it. I agree that Bane was handled better than in previous Arkham games, though he had to be, since he was such a big part of the story. That said, I felt like the writing on the villains lacked a certain nuance: the writers understand what Bane does, what the Joker does, but don’t offer anything that isn’t pretty standard for these characters. Sure, the Joker had a good moment here or there – I’m thinking the climax in Blackgate – and he’s not an easy character to write, but I just felt like Paul Dini had a much better understanding of the characters as a whole, and why shouldn’t he? He’s been writing Batman for more than twenty years. Origins isn’t bad, it just doesn’t really have any new insights to any of these characters. My biggest writing gripe comes from the climactic crises, though, because they throw in several things to raise the stakes, to heighten the tension, but they so clearly contradict the games they precede that there is little real suspense. We know that Bane can’t escape the game with his knowledge of Batman’s identity (which seemed a little deus ex machina as it is; and the solution is that sort of frustrating plot device that made Smallville so infuriating). We know that Alfred can’t die. We know that Gordon can’t die. We know that Bane can’t die. The game bases its late suspense on endangering characters to whom no harm can come because the game is a prequel. (Gordon being in the line of fire makes sense, of course; but the other parts were weak attempts at provoking emotion when we KNOW there’s only one way they can go.) It might’ve been better to lift from The Killing Joke even more, in concept, and put Barbara in danger – indeed, possibly even paralyze her, since we know she takes up the Oracle mantle in the Arkham universe. So anyway. I just think there were some issues with the story execution here. Some things that maybe needed to be thought through a little more. Like many other parts of the game, the story is hurt by following the other two Arkham games, which is both a limitation and a bar. @Dix: A fair assessment. As soon as they mentioned the amnesiatic properties of Bane’s Venom replacement I knew how that was going to go. It mostly seemed there to allow the Joker to create a seemingly impossible situation to tip Batman into the same free-wheeling madness he had embraced, which was what I viewed as the ultimate point of the story. See, my beef with the previous two games is that our attachment to the narrative is almost entirely extra-textual. Why is the Joker so intent on making Batman crazy? He wasn’t like that in any of the cartoons I watched as a kid (written by Dini) and the character was so heavily inspired by that interpretation that it didn’t really occur to me that I might need to look at another. Why are we supposed to care about the Joker’s death at the end of City? He’s a murderous psychopath! Why does Batman care more about the Joker’s corpse than Talia’s? This continuity hadn’t had a good answer for these questions. Origins provides them. It may not be original, but it provided answers. I think any game drawn from a major franchise character is going to have a heavy dose of extra-textual investment. All of the Arkham games make significant assumptions about the player’s familiarity with the Bat-mythos; Origins least of all, perhaps, although I do think it assumes familiarity with City, at least. I always took the Arkham universe as more based on the comics than the cartoon, despite the voices they chose. Paul Dini has, by now, written his share of Bat-comics, and the overall tone of the games fits the comics better than it does The Animated Series. The Joker has, for a long time, been intent on bringing Batman down to his level – make him crack, make him kill. The cartoon couldn’t even (directly) let the Joker be a murderous psychopath, much less let him try to drive Batman to be one. And ultimately I’m not sure how many answers Origins really provided, beyond perhaps Joker’s obsession with Batman. 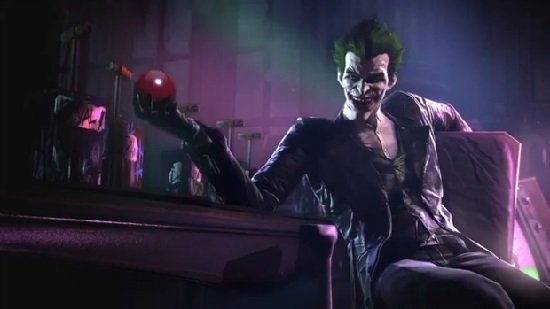 It doesn’t really assert whether that event is what drove the Joker insane – in some ways it applies that it does not, since prior to the Red Hood gameplay segment, you play as the Joker (looking as we expect him to) climbing off the stage at a club and beating the crap out of the “audience” of thugs. I think this is supposed to be a sort of delusional, revisionist version of the Joker’s memory of the event – perhaps what he wished he had done – but in context it kind of looks like he was always nuts and murderous. I just think that whole bit could have been better done if they were intent on including it; I’d actually like to have seen it as maybe the opening to the game, played as Batman breaking up the heist. That wouldn’t work with the rest of the game’s story as it stands, though; it just might be how I’d’ve done the scene, doubling as a tutorial segment. Otherwise I’m just not certain how many answers the game actually provides aside from “What was Batman’s first encounter with [whatever villain]?” It handles well the build up of Batman’s relationship with Gordon and Barbara and his willingness to seek assistance, though these questions weren’t really raised by the previous games in the series; they’ve been entrenched in the Bat-mythos for so long that they’re kind of a given. But I like that this game explored them a bit.